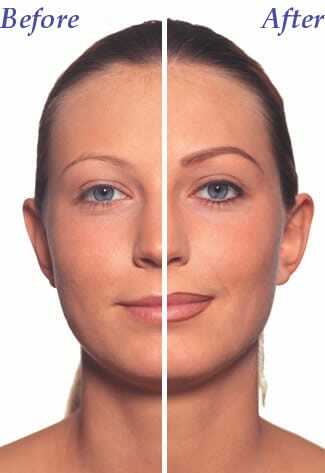 When it comes to cosmetic surgery and altering appearances, people tend to be either very for it for very against it. Personally I'm all for it; I'm not denying that it can go way too far, but if you dont like something about yourself that can be changed and you have the money to do so- I say why the hell not? I'm not sure I'd go under the knife myself (although don't hold me to that if I win the lottery- ha) there are loads of non-surgical procedures I'd love to have done. Rather than change the way you look and completely alter your appearance, I see these as more 'fine tuning' procedures- making the most of whatcha' got kinda thing. I'd love to have the most intense facial ever, get every bit of gunk out of my skin and basically start with a whole fresh face. Does anyone else think like this, or am I completely weird? In simple terms, microdermabrasion is like the best exfoliating job ever. The procedure is done at a salon (try this at home and you'll probably end up with no face) with a hand held machine which buffs away the top layer of skin while creating a vacuum against the face. It's supposedly very gentle despite sounding like an eighteenth century torture device. If I'm not cutting myself shaving, I'm burning myself with hair removal cream or doing my best banshee impression waxing my legs. Painful and expensive hair removal comes with the territory of being female- I'm not necessarily complaining because the thought of 'au natural' is pretty terrifying but it's not exactly fun is it? If you think about it, permanent laser hair removal is kind of an investment- you can be safe in the knowledge that you wont be sporting a full-on moustache when you're in your seventies and crazy post-menapausal hormones kick in. Take that, nature. Ever since I was old enough to brush my own teeth my mum used to bang on about how important it was to look after them. At twenty five years old I can proudly say I've never had a filling or even a toothache, and although I'm grateful to have never had any problems with them (other than getting lipstick on them every now and again- but you know, it happens) I can't help to watch trash tv shows like The Only Way is Essex and dream of a gleaming white set of nashers. I've actually tried saving up for teeth whitening a few times in the past, but have always gave in and gone on a shopping spree instead (it's ok, this blue-toned red lipstick makes my teeth look whiter anyway right?) It's definitely still on my list of things to do though. 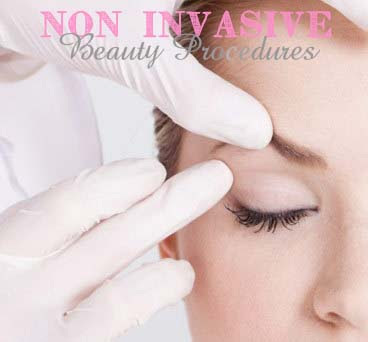 If you could have any procedure done (surgical or non- surgical) what would it be? Love your new layout Hun, it's so pretty! I would have teeth whitening but that's about it.. Not very adventurous! I would never get my eyebrows done permanently because I find that eyebrow styles sometimes change just like everything else. What if the style is thinner brows one year and there is nothing you can do about it? Or what if you suddenly decide one morning you want giant cholo brows (I'm assuming you banged your head very hard at some point before this decision though)? That's just my opinion though.